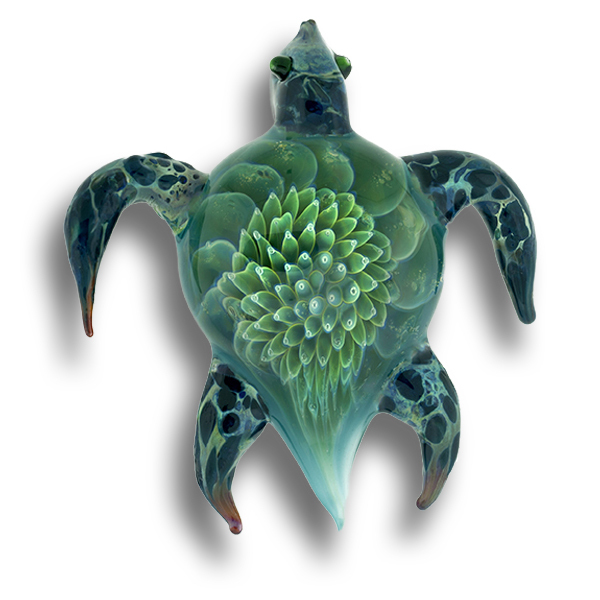 Description: This Cremation Keepsake Paperweight is a Three dimensional Sea Turtle. The cremains would be seen on the bottom of paperweight in a clear window. Once completed, I will sign the loved one’s full name or nick name, e.g. Dad, Mom, etc. on the back of the keepsake in 22k gold, so as to be Forever in Glass. Dimensions: Approximate size 2.25 inches by 2.75 inches.